----SERMICLE is a brand owned by VEKEY, focus on women beauty.We dedicated ourselves to provides high quality bra pads and bra inserts. ----To achive the goal of more beautiful,more comfortable,more confident and more affordable that continuously pushing us to move forward. Sermicle self-adhesive bra pads are suitable for all kinds of all cups and underwear with or without pre-existing slots.Perfect for sports bra,bra shelf, swimsuits, bra pockets, evening gowns, wedding dresses, sweaters & casual wear,etc. 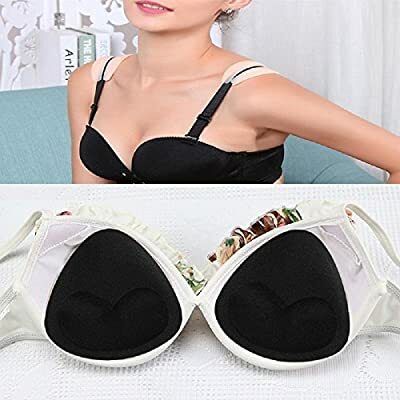 This Silicone adhesive bra inserts perfectly fit the chest, can be used for better breast fit, more breast lift,push up or natural looking cleavage. 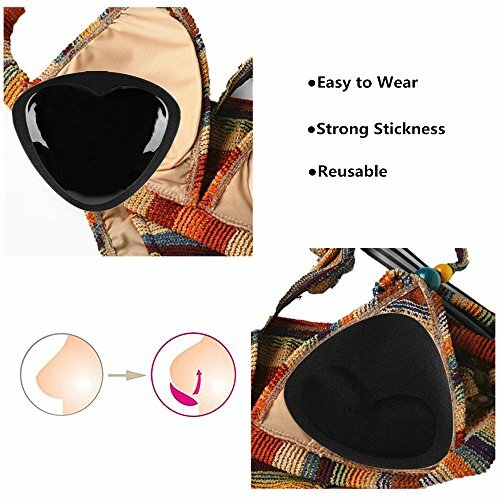 This push up bra pad are attached by its sticky silicone layer which prevent the bra pad from shifting and falling. The silicone layer of the bra pads can be washed to keep it clean and sticky. 1:Peel off the protective film from the bra pad. 2:Stick the glue side of the bra inserts to the inside of your bras. 3:Adjust the position on both sides for a better and comfortable push up. All SERMICLE Bra pad inserts are backed by a 100% No-Hassle Money Back Guarantee.